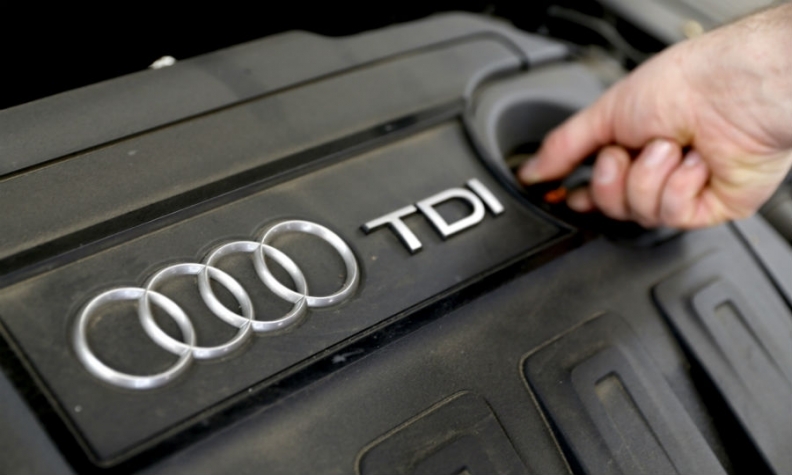 FRANKFURT -- Audi, which has been caught up in parent Volkswagen Group's emissions-cheating scandal, has fired four engineers from its diesel division. Audi's former chief of engine development, Ulrich Weiss, and the automaker's former head of emissions in the United States, are among the engineers fired, Handelsblatt reported on Monday. An Audi spokesman confirmed to Automotive News Europe the dismissal of four engineers including Weiss but declined to comment on the names of the other engineers. "The reason in all cases is gross breach of duty," the spokesman said. Weiss has been on paid leave for a year and a half, Handelsblatt said. It referred to the dismissed U.S. executive only as "Giovanni P."
Last year, Handelsblatt said Audi created so-called "defeat" devices which cut emissions in 1999, years before they were used in up to 11 million VW Group diesel cars sold worldwide.